Police have charged a man following two robberies and an attempted robbery at shops in Leamington last week. Cash was taken in robberies at McColls in Stanley Court on Saturday 30 March and Tachbrook Convenience Store in Tachbrook Road on Thursday (4 April). An attempted robbery took place at Sainsbury's in Radford Road on Thursday. Officers arrested James Thomas Dubrava in in the early hours of Friday morning and charged him with two counts of robbery, one count of attempted robbery and one count of possession of an offensive weapon in a public place. Dubrava, of Ranelagh Terrace, Leamington, appeared at Warwick Magistrates' Court this morning where he was remanded in custody to appear at Warwick Crown Court on May 9. Police are continuing to appeal for witnesses to any of the incidents to call 101 quoting incident 398 of 4 April 2019. Alternatively, information can be provided anonymously to the independent charity Crimestoppers on 0800 555 111. 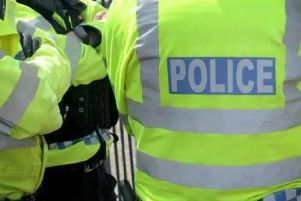 A 27-year-old woman from Leamington arrested on suspicion of assisting an offender and possession of class A drugs has been released under investigation.